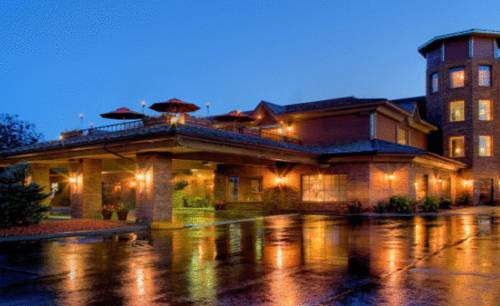 Located in the gateway to the Black Hills we offer 132 Superior rooms. Our 134 foot waterslide is fun for the whole family. Lounge hours are 11 am-2 am Mon-Sun. Perkins Restaurant is available 24/7. Our facilities offer both conference rooms and banquet space available for all occasions. A fitness room is available 24 hrs. 1721 N Lacrosse St. Rapid City SD 57701. Open 24/7 Family Restaurant and Bakery offering Room Service plus senior and childrens menus. Cheers Sports Lounge offering daily specials and nightly entertainment.